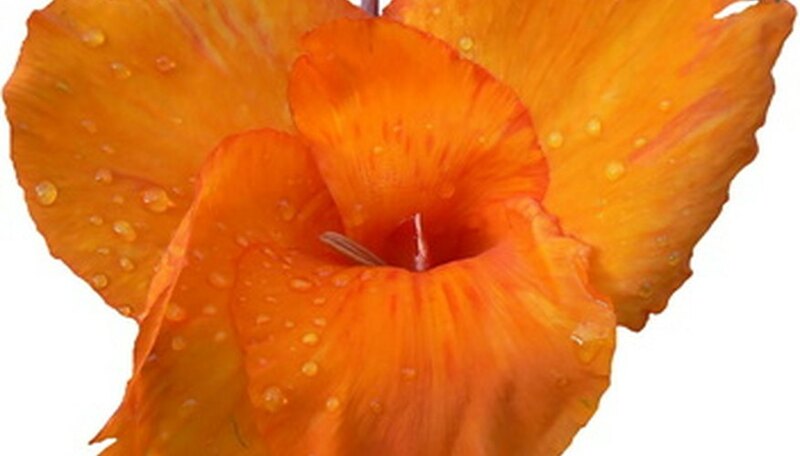 Cannas are tropical flowers, native to areas in the southeastern United States as well as Central and South America. Prized for their large, bright, colorful flowers, gardeners most often grow canna from rhizomes, which are elongated bulbs, or starter plants. Cannas can also be started from seed, although it may take a few years for them to reach the flowering stage. If you'd eventually like to spread your cannas to another part of your yard, or want to give some of their offspring to friends, harvest and store your seeds. Cut the seed pods off the plant just below the stem, using the garden shears. Seed pods develop after the petals have fallen off, at the base of where the blooms were. The seed pods start out as small nubs, then swell as the seeds develop. Don't cut them unless they are black. Lay a window screen flat on a countertop, and gently break the canna seed pods open over the top of the screen. Separate any debris from the seeds. Window screens work well because the border keeps the screen just slightly off the counter, allowing for air flow underneath the seeds. Keep the seeds on the screen for three to four days to be sure they are completely dry. Place the seeds in an airtight container such as a glass jar. You can also use plastic zipper-type storage bags or a plastic container. Mark the date of storage on your container, using a label and marker or masking tape and marker. Store the canna seeds in a cool, dry area, such as a garage or refrigerator. If you do not have a window screen, let the seeds dry on paper toweling or coffee filters. Just be sure to roll them around every day so they can dry on all sides. If canna seeds are harvested and stored before they are dry, they could develop mold, which can cause them to rot.